Editor's note: Since the publishing of this article, Project Pie has closed. 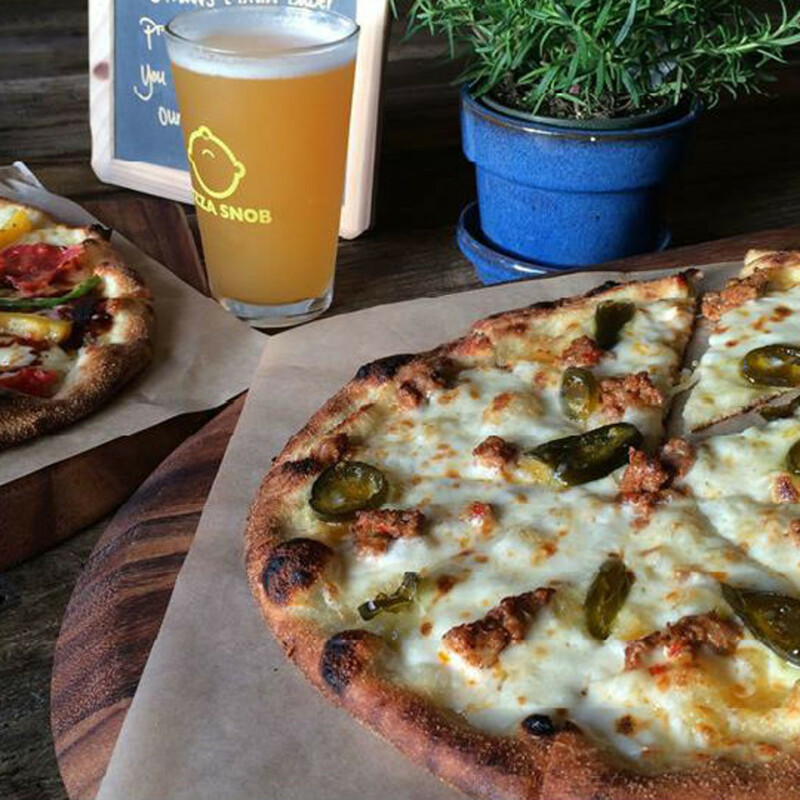 After decades as a pizza wasteland, Dallas-Fort Worth has become Pizza Central. We're the place to be for a wave of fast-casual chains that model themselves after Chipotle's, where you walk down a buffet line and point out your toppings. The pizzas are quickly assembled and baked in minutes in high-tech roaring ovens, crisp and hot by the time you've paid your bill. Restaurant concept consultant Mark Brezinski says this wave reflects not just our pizza tastes, but also a societal trend. "The whole thing is customization right now," he says, "from the apps you get on your phone to the toppings you get on your pizza. It's about expanding personal decision-making. Everyone is following the Chipotle model." 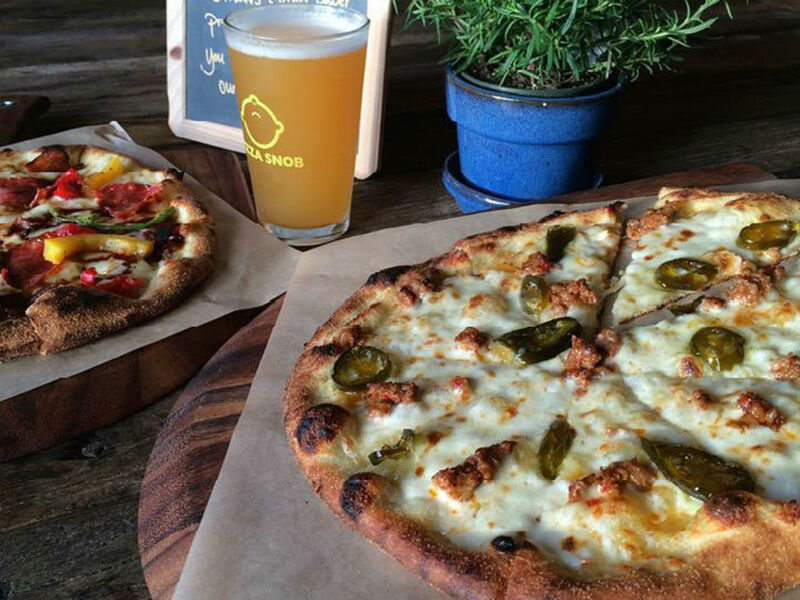 DFW more than any other area provides opportunity for pizza expansion. We lack the longtime traditions of the Northeast, making us prime turf for new pizzerias to colonize. Here's our list of the new fast pies in town, in order of how they toss up. This Colorado-based chain, in its nascent days, chose North Texas for its first foray outside of its home state. 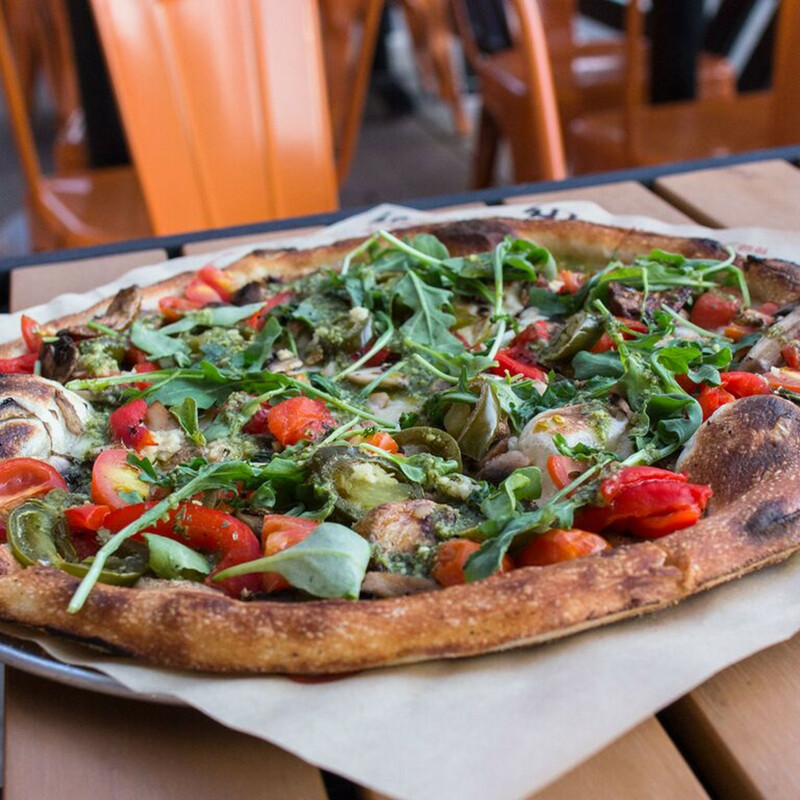 Pizza is merely a small part of what is a broader menu of upscale, healthy-centric food, with salads, sandwiches, wine on tap, and vegan and gluten-free options. It's also amazingly cheap. Vibe: Bright and busy, but with an elegant, casual coolness that feels very Colorado chill. Glassware and flatware are the real thing, there are recycle bins, and there's even sparkling water on tap. 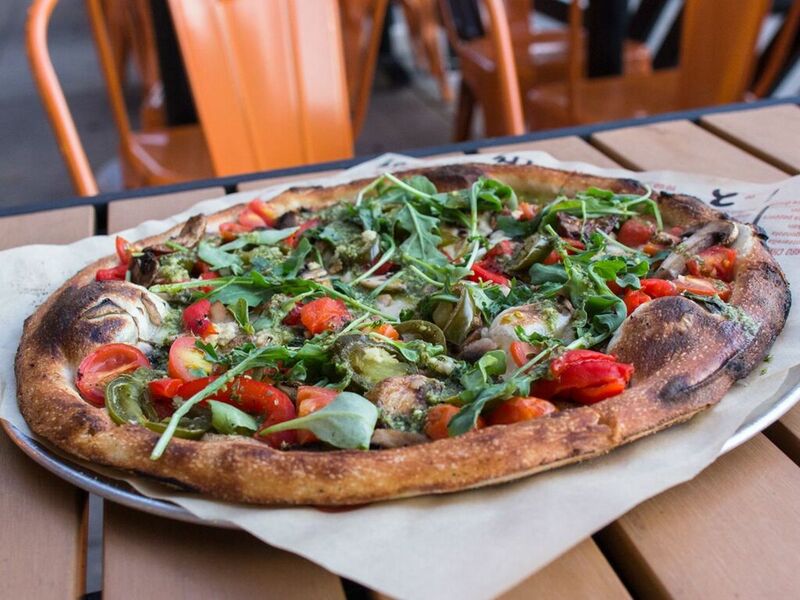 Pizza: The pizza at Modmarket stands out in a number of ways, starting with the crust. 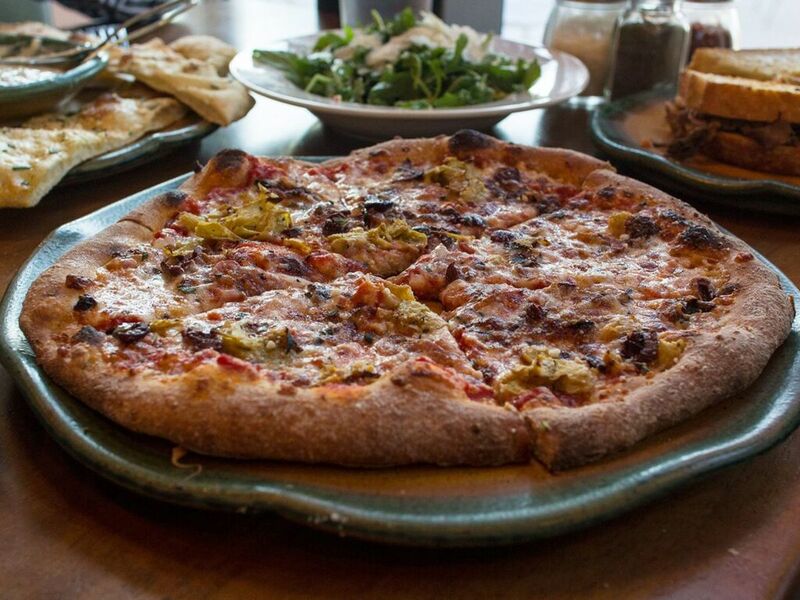 They let the dough ferment for 24 hours, giving the crust a Neapolitan-esque puffiness and sour-salty flavor. There is also a whole wheat crust that is as buoyant and flavorful as the regular crust. They use a Woodstone brand oven, which has two heat sources: gas and wood. You can order pizza in half sizes, which is practical if you don't want to take it home. 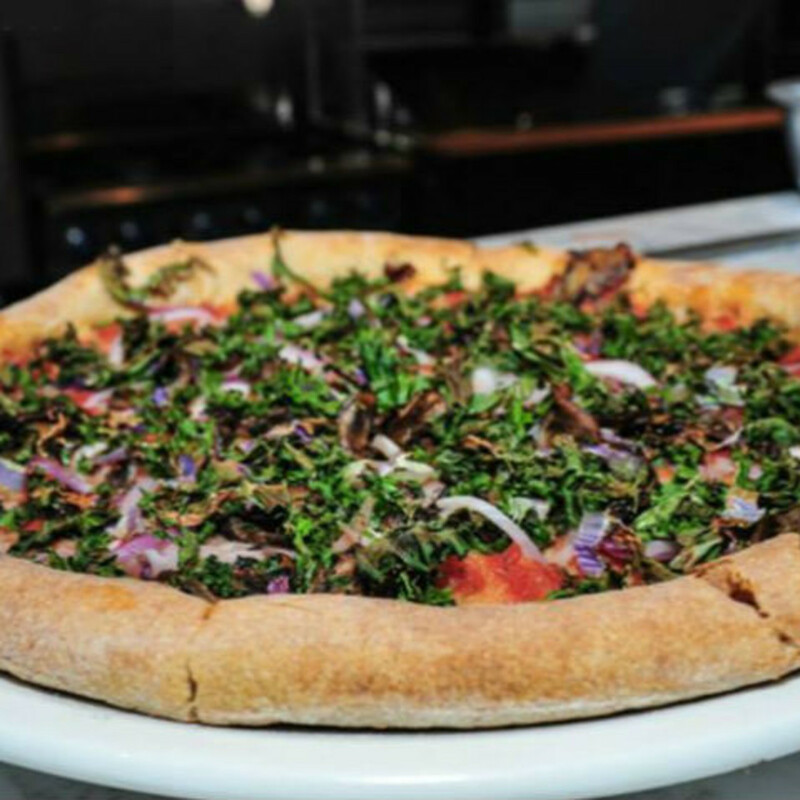 And the toppings are gourmet level: One pizza has mushrooms, kale, and red onion; another has prosciutto, mushrooms, arugula, pear, and Gorgonzola cheese. The Kansas City-based chain was founded in 2005 and is opening at least four locations in the Dallas area. 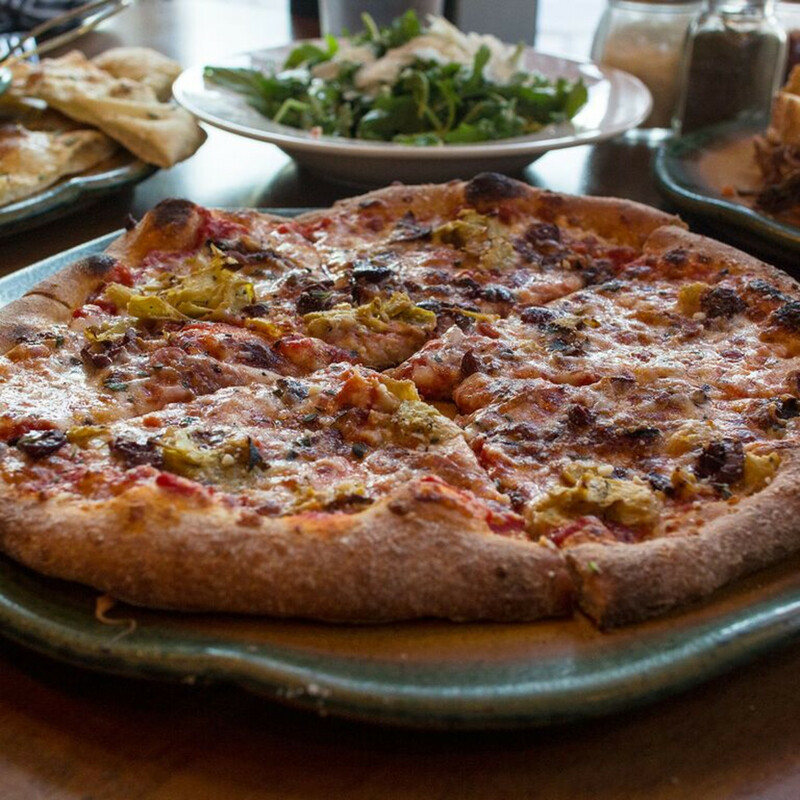 Pizza is the centerpiece, but the menu also includes soups, sandwiches, pastas, and house-made gelato. Vibe: Spin is more upscale than other places on this list, more Pei Wei than Chipotle. The pizzaiolo presides behind an exhibition glass display over what looks like a relabeled Woodstone oven. (The company can be rather secretive and claims the oven is custom-made.) The dining room has multiple tiers of seating and nice china. A wall-sized mural celebrates Italian bicycling. Pizza: Spin's pizzas are 12 inches and Neapolitan-style, with a crust that's thick and puffy around the edges and flat in the center. 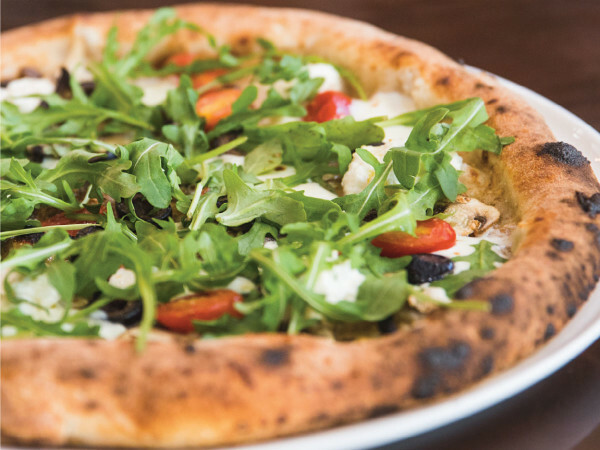 Compared to a true Neapolitan pizza, it comes up short, with a bready texture, and not much of the Neapolitan's trademark flavor or appealing char. But it's still better than the average pizza to be found around Dallas. Notable gourmet toppings include arugula, fig onion marmalade, apples, and pine nuts. Fort Worth-based outfit does a local, indie rendition of the Chipotle model, with a unique oven that rotates the pizza around a gas flame, producing a hot pie in two minutes. Menu is limited to pizzas and the obligatory kale salad served in a generous stainless steel bowl. Vibe: Cozy space feels small-town and a little rough around the edges, with nothing-fancy wooden tables, high school kids behind the counter, and a strong focus on pizza to-go. Signs on the wall warn customers to limit the number of toppings. Pizza: Pizzas are 11 inches and cost $8. You can choose sauce from a list that includes tomato, honey barbecue, or buttermilk Alfredo, and cheese such as mozzarella or cheddar. Toppings, lined up in silver bowls, are above-average, with options such as potato, chopped olives, beer-glazed onions, and the star: candied jalapeños. The crust is thin and lightly browned, a little chewy and buttery, almost like pie crust. San Diego chain from a co-founder of Wetzel's Pretzels is noted for celebrity investors LeBron James and Maria Shriver. It's the most Chipotle-like, and it is growing at a rapid clip. The menu has pizza and salads, including some worthy veggie ones such as beet with almonds, arugula, and goat cheese. Vibe: Brassy and a little cheap, with house music and an orange color scheme. Cups and flatware are plastic disposables. Wall-size murals offer slogans about staying on your horse. Pizza: Pizzas are 11 inches and run about $8.50. They're baked in a Woodstone brand oven and come out in three minutes, on a paper-lined tray. Toppings are above-average, including artichokes, Gorgonzola cheese, roasted garlic cloves, and arugula. The crust is thin and crisp, but it has a reassuring pliability and some flavor; it's not just a cracker. 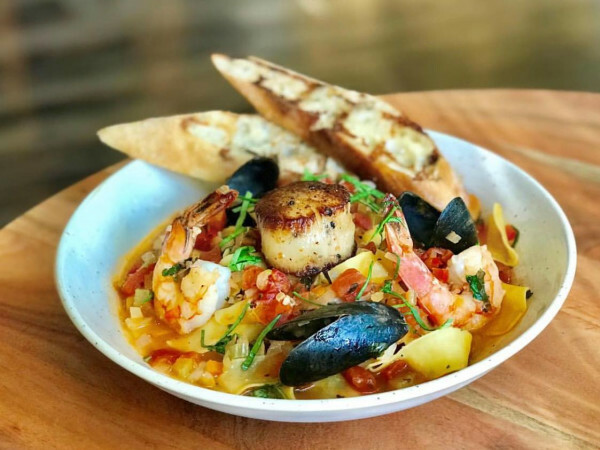 California-based chain has big ambitions, with 20-plus branches extending from California to Texas to international shores. It observes the Chipotle approach, with staffers who dole out your topping choices from steel bins. 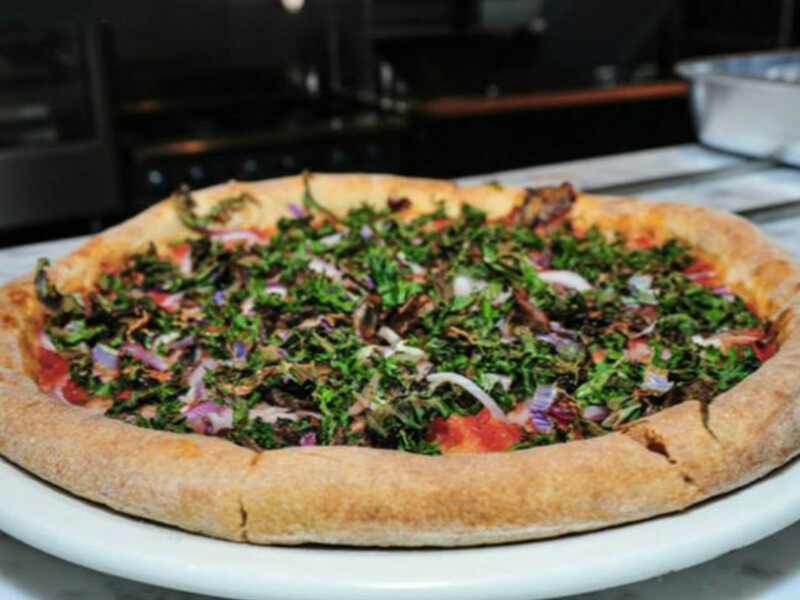 There are pizzas and a salad or two, including a kale salad chopped so roughly as to be inedible. Vibe: Bright and busy, with rock music set at too high a volume for comfort. Staffers are chatty. Pizzas are served on a sheet of paper over a stainless-steel rack. Salads come in a cardboard box. Cups and flatware are plastic. Pizza: An 11-inch pizza is about $8. The process begins when a staffer places a ball of dough into a flattening machine, producing a crust that bakes up quickly and is almost cracker-thin. This automatically restricts the amount of toppings and keeps it a "light" dining experience. Some toppings, like the artichokes, are gourmet, but the overall quality seems average.